Lake Del Valle in Livermore taken January 2014 by Robin Mayoff. Lake Del Valle Jan. 2014 by Robin Mayoff. All of California is experiencing a significant drought and the need is urgent for everyone to take steps to reduce water consumption. 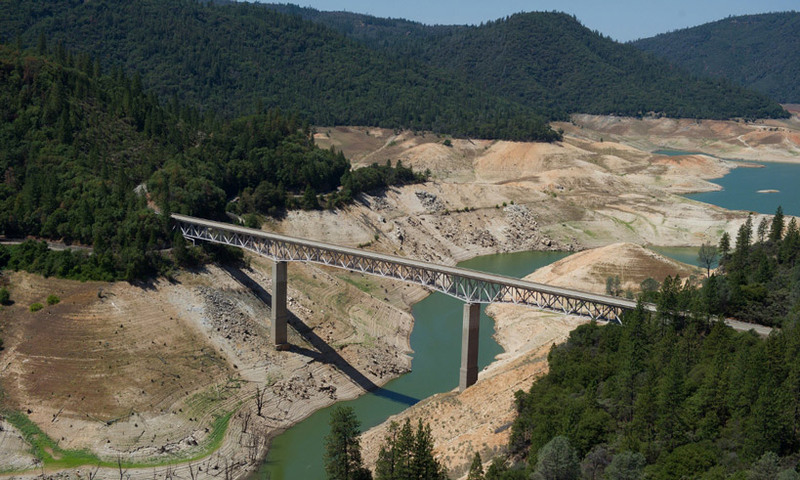 Governor Brown has declared a drought state of emergency, while local governments and water districts are taking numerous actions to promote water conservation as we hit the warm summer months. Alameda County is taking a number of measures to reduce water use by all departments and programs. 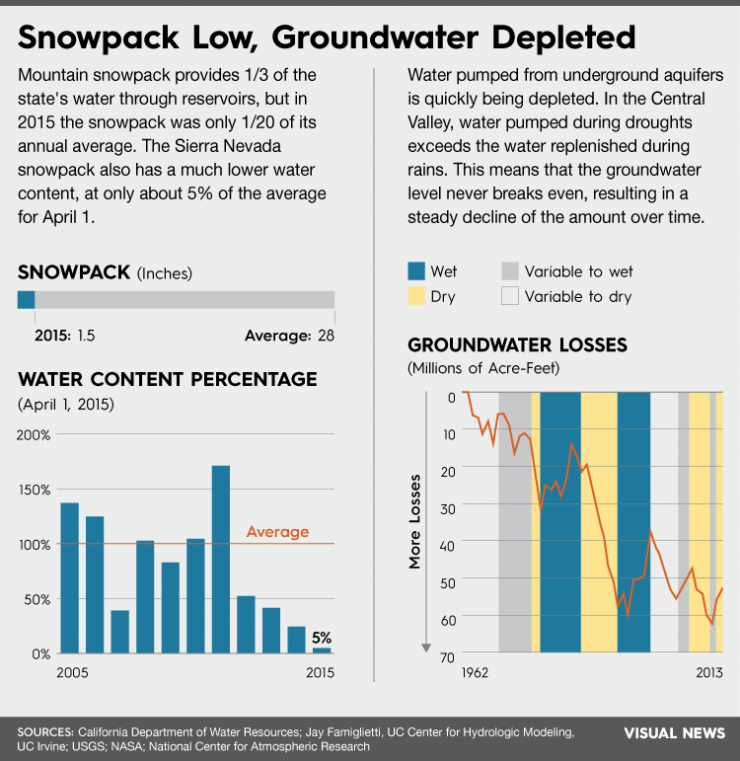 We also are communicating closely with our employees and working with local water districts to help get the message out that we all must pull together to reduce water consumption so that California survives the drought in the best shape possible. Mono Lake, August 2014, by Mary Phillips. 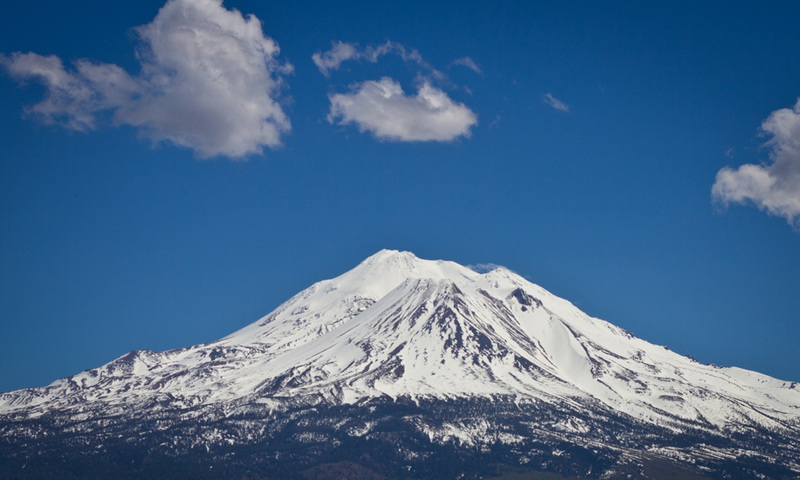 Mount Shasta, April 2012, by Tony Webster. 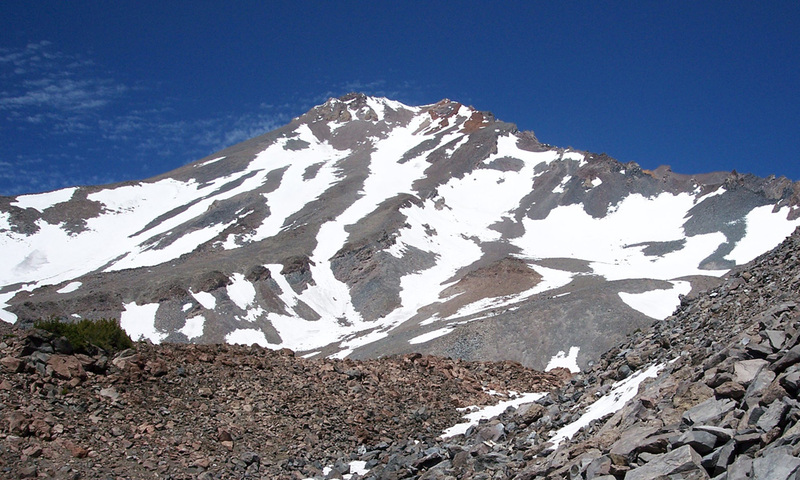 Mount Shasta, January 2015, by Jim Heaphy. 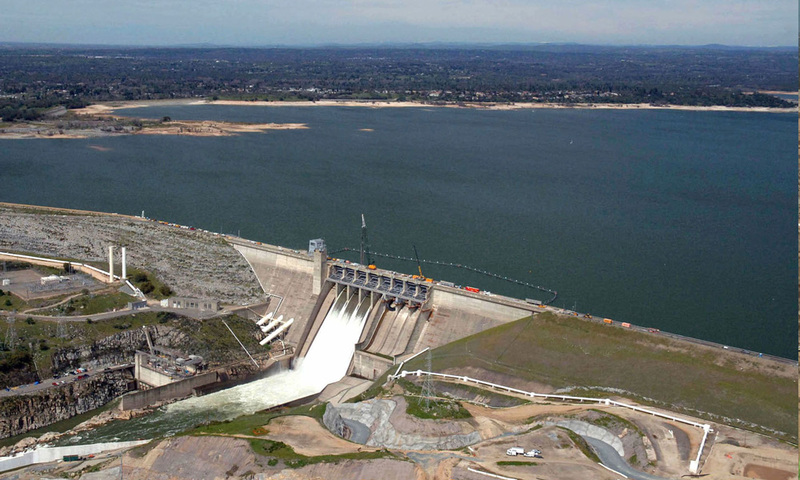 Folsom Lake, July 2011, from California Department of Water Resources. 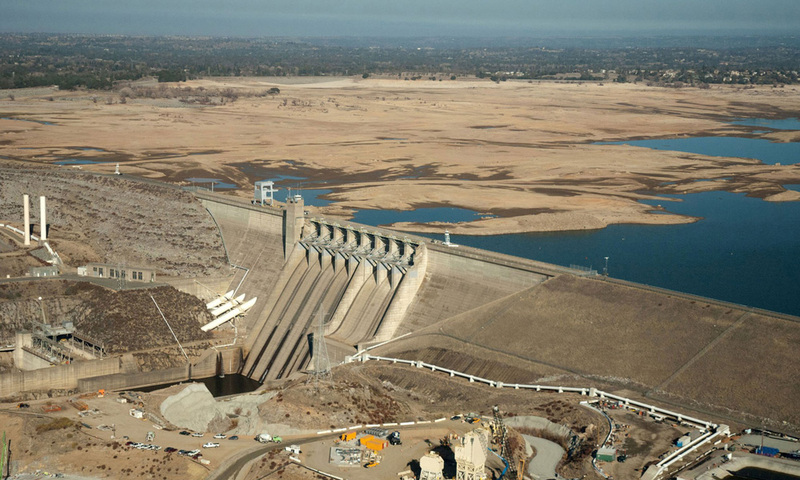 Folsom Lake, July 2014, from California Department of Water Resources. 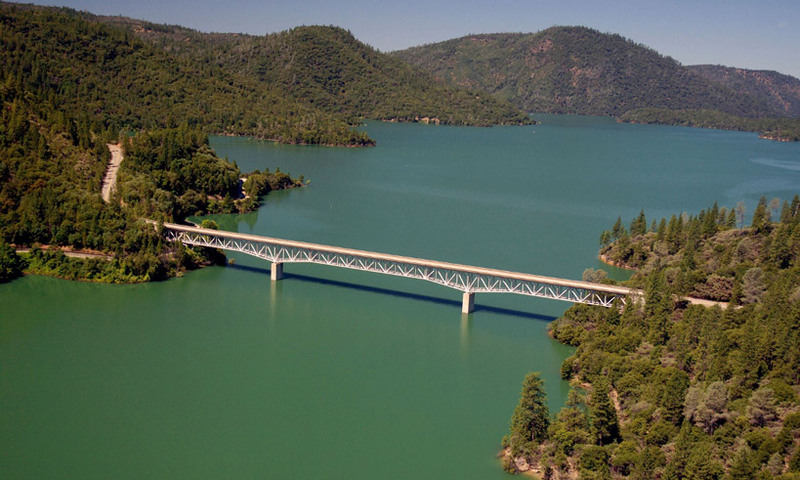 Lake Oroville, July 2011, from California Department of Water Resources. 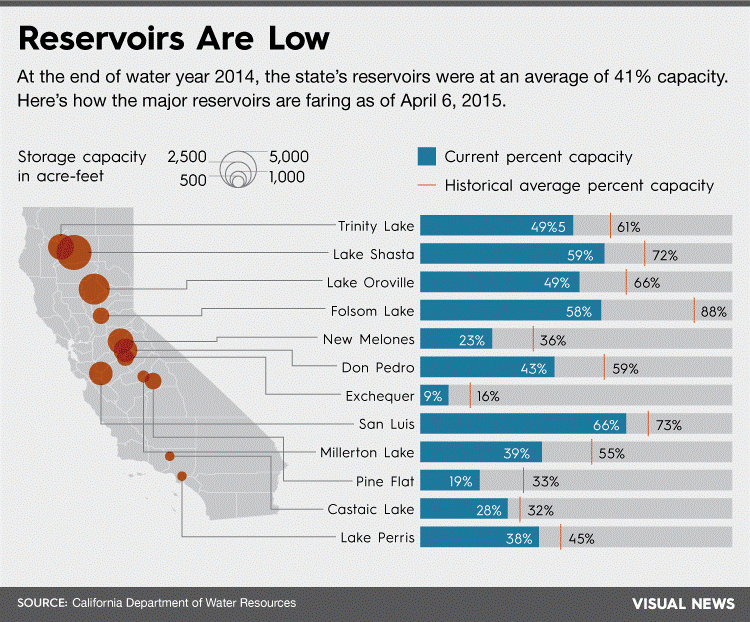 Lake Oroville, July 2015, from California Department of Water Resources.